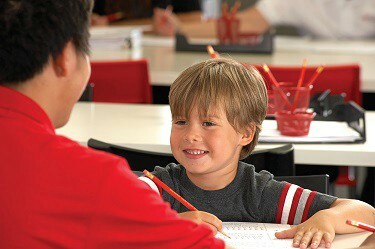 Does Your Child Need Help with Homework? Start the Year with Mathnasium, Finish with Success! We have exciting news to share that is sure to reinforce your child's learning this new school year! 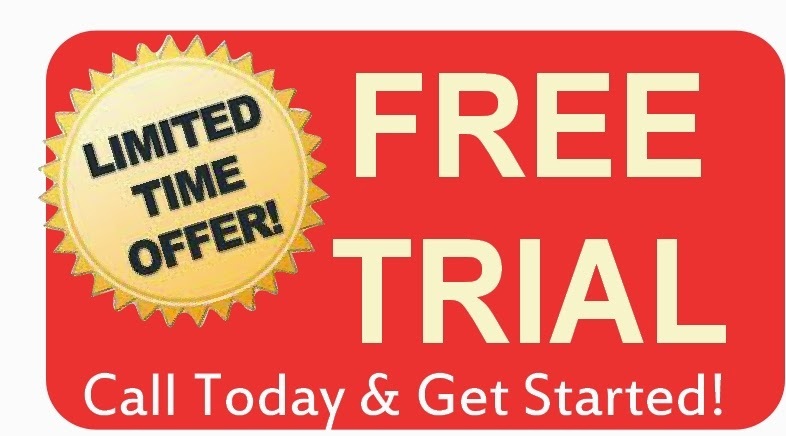 Effective immediately Mathnasium of Wall will be offering an Unlimited Homework Assistance Program for $299 per month. During the regular schedule listed below, you may schedule a one-hour session by logging on Appointy.com, by emailing us or by calling us. You may also drop-in for homework assistance, as needed, for periods less than an hour. Please note that scheduled appointments, with at least a 2 hour notice, will be given priority over a drop-in. Monday - Thursday 3:30 - 7:30 p.m.
Sunday 1:00 p.m. - 3:00 p.m. Welcome the new school year with a fully stocked backpack complete with all your back to school supplies PLUS a $25 Staples Gift card! Giveaway runs Monday, August 20 through Sunday, September 30. One winner will be announced on or about October 1, 2018. Scroll down for official rules. 1. Eligibility:This Campaign is open only to those who visit our Facebook page and comment. 2. Agreement to Rules:By participating, the Contestant (“You”) agree to be fully unconditionally bound by these Rules, and You represent and warrant that You meet the eligibility requirements. In addition, You agree to accept the decisions of Mathnasium of Wall as final and binding as it relates to the content of this Campaign. 3. Campaign Period:Entries will be accepted online starting August 20 – September 30, 2018. All online entries must be received by midnight on September 30, 2018. 4. How to Enter:The Campaign must be entered by submitting a comment on the Mathnasium of Wall Facebook page.The entry must fulfill all Campaign requirements, as specified, to be eligible to win a prize. Entries that are incomplete or do not adhere to the rules or specifications may be disqualified at the sole discretion of Mathnasium of Wall. You must provide the information requested. 5. 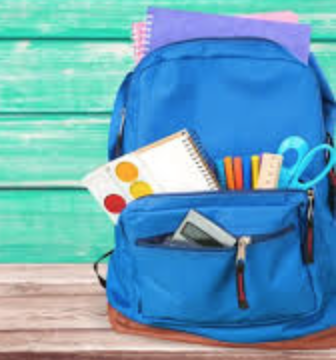 Prizes:The Winner(s) of the Campaign (the “Winner”) will receive a back to school backpack complete with all the items needed for the new school year plus a $25 gift card to Staples. Value of $125.No cash or other prize substitution shall be permitted except at Mathnasium of Wall's discretion. The prize is nontransferable. No substitution of prize or transfer/assignment of prize to others or request for the cash equivalent by Winner is permitted. Acceptance of prize constitutes permission for Mathnasium of Wall to use Winner’s name, likeness, and entry for purposes of advertising and trade without further compensation, unless prohibited by law. 7. Winner Selection and Notification: Winner will be selected on or about October 1, 2018 under the supervision of Mathnasium of Wall. Winner will be notified by Facebook Messenger within 5 days following selection of Winner. Mathnasium of Wall shall have no liability for Winner’s failure to receive notices due to spam, junk e-mail or other security settings or for Winner’s provision of incorrect or otherwise non-functioning contact information. If Winner cannot be contacted, is ineligible, fails to claim the prize within 30 days from the time award notification was sent an alternate Winner selected. Receipt by Winner of the prize offered in this Campaign is conditioned upon compliance with any and all federal, state, and local laws and regulations. 8. Rights Granted by You:By entering this contest (e.g., photo, video, text, comment. ), You understand and agree that Mathnasium of Wall has permission to print, publish, broadcast, distribute, and use in any media without further consent. 9. Terms & Conditions: Mathnasium of Wall reserves the right, in its sole discretion, to cancel, terminate, modify or suspend the Campaign should virus, bug, non-authorized human intervention, fraud, or other cause beyond Mathnasium of Wall control corrupt or affect the administration, security, fairness, or proper conduct of the Campaign. In such case, Mathnasium of Wall may select the Winner from all eligible entries received prior to and/or after (if appropriate) the action taken by Mathnasium of Wall. 10. Limitation of Liability: By entering, You agree to release and hold harmless Mathnasium of Wall and its subsidiaries, affiliates, advertising and promotion agencies, partners, representatives, agents, successors, assigns, employees, officers, and directors from any liability, illness, injury, death, loss, litigation, claim, or damage that may occur, directly or indirectly, whether caused by negligence or not, from: (i) such entrant’s participation in the Campaign and/or his/her acceptance, possession, use, or misuse of any prize or any portion thereof; (ii) technical failures of any kind, including but not limited to the malfunction of any computer, cable, network, hardware, or software, or other mechanical equipment; (iii) the unavailability or inaccessibility of any transmissions, telephone, or Internet service; (iv) unauthorized human intervention in any part of the entry process or the Promotion; (v) electronic or human error in the administration of the Promotion or the processing of entries. 11. Disputes: THIS Campaign IS GOVERNED BY THE LAWS OF New York State WITHOUT RESPECT TO CONFLICT OF LAW DOCTRINES. As a condition of participating in this Campaign, participant agrees that any and all disputes that cannot be resolved between the parties, and causes of action arising out of or connected with this Campaign, shall be resolved individually, without resort to any form of class action, exclusively before a court located in New York having jurisdiction. Further, in any such dispute, under no circumstances shall participant be permitted to obtain awards for, and hereby waives all rights to, punitive, incidental, or consequential damages, including reasonable attorney’s fees, other than participant’s actual out-of-pocket expenses (i.e. costs associated with entering this Campaign). Participant further waives all rights to have damages multiplied or increased. Call Now (732) 681-6284 and Let's Get Started! We love Mathnasium. It has really helped my girls confidence in math this year! Our daughter likes to go, and is willing to learn with the instructor. Very Happy, to early to see the results but we can see progress. Our Mathnasium experience has been excellent. Our son goes in with a mission and task orientation and has the right level of support to “master” his skills. Extra time is provided, as needed, and the kids not feeling like they have to “clock in” & “clock out” at exactly 60 min helps them thrive in a healthy environment. Right balance of structure and mentored guidance. Very happy. Mathnasium of Wall has been a great experience for my 8-year old daughter. She looks forward to going and loves the rewards-based system. It has really changed her attitude towards Math. No more tears over homework and she skips into Mathnasium every week. Thank you! So far so good, my kids are happy and the one already has seen improvement with his grades. My daughter enjoys coming to Mathanasium and it is boosting her self confidence in school. I especially like that they help her understand her homework and they help her prepare for an upcoming test. Dylan gained confidence and improved his grades in math. We have and will continue to share our experience with friends and family. Mathnasium was a great help in getting my daughter Caroline through her senior year of high school math. Leah was phenomenal in how patient and helpful she was with Caroline. Thank you so much !! A great place with great staff that make "today's math" easy for the kids to understand! Not only do they teach their but they also provide the parents with progress updates. Don't fall behind, get started now and avoid the summer slump to ensure confidence in your little ones. This place worked wonders for my children. Program is great, scheduling is easy and Leah is awesome! Glad to hear it Marilyn! We enjoy working with your daughter. My son has improved his understanding of math dramatically with your program. He can follow along with the class and comprehend the lessons now. Thanks Ed! We love working with your son. He is bright and making rapid improvements. Everyone was fantastic there, Jeff and the crew helped my son out. Even though he stilled struggled with grades I think they would of been lower. My son really enjoyed going there. I highly recommend them. Thanks Stephanie! We loved working with your son. Thanks! It's a pleasure to work with Lucy and see her bright smile at Mathnasium. My son loves it! He has a lot of fun and looks forward to going, his face lights up when I tell him we are going to Mathnasium today! Great learning program! I highly recommend mathnasuim. They helped me pass my math praxis. Super helpful!!! Knowledgeable staff + accommodating schedule = improved grades + less stress! Mathnasium is very flexible with working with kids time schedules and even allowing more time if student is still not understanding 100%. They work with student and parents to ensure that their child is well prepared for homework and tests. My son looks forward to his time spent at Mathnasium which is wonderful as he does not look forward to going to school everyday. He enjoys it as the instructors make learning fun. We have seen positive results! What more can we ask for but seeing improvement while having fun! Thank you Colleen, we really enjoy having your son attend our center. He is a very bright and nice! Overall my daughter learned a lot and her understanding of maths is now really good. She'said doing much better in school. Jeff, the owner, is always very responsive and very pleasant. Most instructors seemed good. Thank you and we are happy to hear that he raised his score. Seems mathnasium helps fill in the gaps of what our daughter may have missed at school or simply doesn't comprehend. The extra help and tutoring gives her an "edge" of additional insight. We love the people at Mathnasium. My son is learning a lot and never complains about going. After 8 months the children still enjoy going and are progressing well. My son enjoys his time at Mathnasium. The instructors make learning fun! Thank you! Wishing you and your family a Happy Holidays as well! Knowledgeable, friendly staff. Great learning environment. My daughter has only been going for a little over a month, but she likes it and hopefully we will see some positive results soon. Our daughter is not intimated anymore by Maths since she has been going to Mathnasium. She actually enjoys Maths and is doing very well in school. My kids math scores have gone up considerably since going to Mathasium. They have also gained confidence and quickly fly through their homework. I would recommend students regardless of the level of math they are taking in school. Kids are understanding their math lessons and enjoy going to class as a result. Mathnasium is very accommodating in every way. Its a pleasure having both my children attending Mathnasium. Thank you and I happy to hear they enjoy their learning experience at Mathnasium. Michael usually fights with us in reference to him being tutored for math. When he began the summer math program at mathnasium not one complaint. We [FIRST NAME REMOVED] continue with the program during the upcoming school year. My daughter seems to enjoy every session, has not complained about Math since! We just started this summer and so far it's been wonderful in every way! My son Brian has had an amazing experience. He went from struggling in math to one of the top in his class. I have seen such an improvement in his confidence. It is wonderful! The girls love going. I have noticed an improvement in one month. My kids feel very comfortable with the instructors which in turn allows them to learn better!